Ford appears to be using any advantage it can, from any industry, to make better cars and make them more quickly. Last month we got word of the motion-capping tech The Blue Oval borrowed from video games and movies. This month the news is that it’s putting all of that mo-cap work into its immersive Virtual Evaluation lab (iVE) with the help of United Space Alliance. Alliance is a joint venture between Boeing and Lockheed Martin that aids in virtual modeling for space missions. 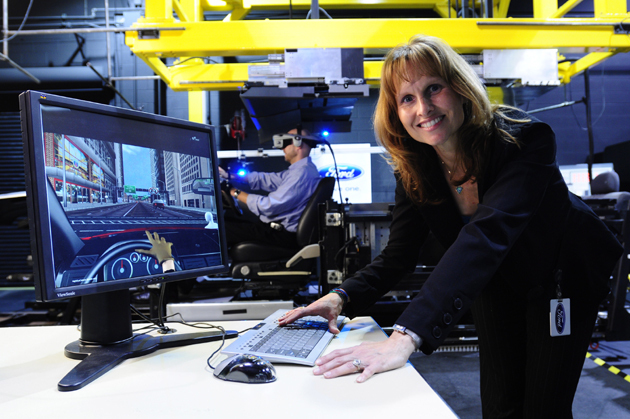 The benefit for you is that Ford can design safer, more comfortable and more ergonomic car interiors. The benefit for Ford – in addition to happier customers – is that these technologies reduce development time by up to 14 months, which equates to all kinds of savings. Stay tuned next month when Ford announces that all of its engineers have been replaced by Wall E.
We at your favorite Maryland Ford Dealer think anything that will save you money in the end is pretty darn cool. Too bad they didn’t get with George Lucas’s ILM studios as well, we could imagine our own R2D2 riding shotgun in the new 2011 Ford Fiesta. May the Force be with you!